← Is collaboration the solution or the problem? 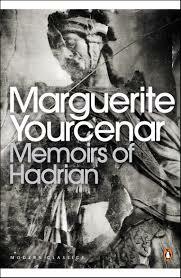 Marguerite Yourcenar’s wonderful novel Memoirs of Hadrian takes the form of a personal memoir written for the future Roman emperor Marcus Aurelius by the emperor Hadrian (76-138 CE) as he faces death. The book is a brilliant portrayal of a leader who seems to be shaped by enlightenment ideas although his rule predates what we generally describe as the western enlightenment by over 1,500 years. 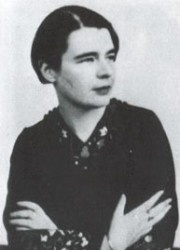 Yourcenar’s research was meticulous and she read every contemporary source she could get hold of. Nevertheless, we are clearly seeing the modernity of Hadrian’s thinking through a 20th century lens. The section which best captures his vision and methods as a ruler is Tellus Stabilita (the stable Earth). The chapter opens as the successful military strategist Hadrian finally succeeds the emperor Trajan following a deathbed adoption. His first task is to achieve peace in Mesopotamia on the eastern edge of the empire and put an end to Trajan’s expansionism which threatens to ruin Rome. 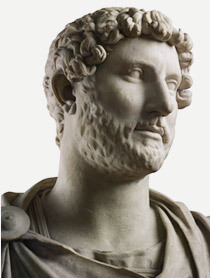 Hadrian realises that Rome needs to adapt to survive by promoting a set of universal values; Humanitas, Libertas, Felicitas (Humanity, Liberty and happiness) as well as a transferable model of governance rather than by imposing rigid uniformity on all its provinces. “To build is to collaborate with earth, to put a human mark upon a landscape, modifying it forever thereby..The founding of libraries was like constructing more public granaries, amassing reserves against a spiritual winter which…I see ahead. Tellus Stabilita is the core of this engrossing story of a very human emperor learning to rule wisely while also learning about himself. This chapter can be read as a handbook for leadership to match Macchiavelli’s The Prince, written over 400 years before. If not exactly a philosopher king, Hadrian is both philosophical and pragmatic. For Macchiavelli, he was one of the ‘five good emperors’ and Yourcenar shows his concerns pre-figuring those of today. Hadrian’s vocabulary of values may not include all three of ‘liberty, equality, fraternity’, let alone ‘democracy’, but he is expressing their predecessors and laying the groundwork for their future articulation. I recommend this chapter and, of course, the whole book. This entry was posted in Culture, History, Reviews and tagged Ancient Rome, Cultural heritage, Emperor Hadrian, leadership, Marcus Aurelius, Marguerite Yourcenar, Memoirs of Hadrian, Niccolo Macchiavelli, values. Bookmark the permalink. 1 Response to Hadrian, the enlightened pre-enlightenment leader? Thanks Eddie, you’ve added to my holiday reading list!